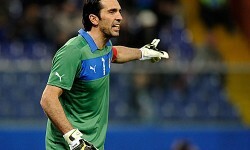 It would be an understandement to claim that Cesare Prandelli’s selections for the Euro 2012 have provoked debate. But by including two Serie B players (including Marco Verratti, the 19-year-old touted as many to follow in Andrea Pirlo’s footsteps), one defender who plays in faraway Kazan, not to mention four men who have never represented the Azzurri, the Italian manager has stunned many with some of his choices. Despite the surprise call-ups, however, it is the very backbone of the squad which should be the object of our focus, as Prandelli has surely included the likes of Angelo Ogbonna and Verratti in his squad with the future in mind. And this exposes the real cause for concern – the frailty of the spine of the team which has seen Italy through the qualifying stages, especially considering the absence of a “traditional” striker. Italy have much cause for optimism, having finished their qualifying group with a record amount of points (26), a record-low number of goals conceded (2), and without losing a single game along the way. Whilst Prandelli has been willing to offer himself more variety down the wings by selecting two naturally left-sided wingers in Emanuele Giaccherini and Ezequiel Schelotto –something he rarely did in qualifying, often picking up to nine defenders – he hasn’t selected a player from the misfiring Matri/Quagliarella/Osvaldo/Pazzini bloc, effectively leaving Italy without a useful reference point in the box in case his starting 4-3-1-2 lacks any bite. With their humiliating elimination in the 2010 World Cup still ringing in their ears, the Azzurri will look to remind everyone of their illustrious past and their present talent as soon as they get off the plane. The trouble is, of course, that they face the small matter of Spain in their opening game in Gdansk on June 10th, with the title holders only too happy to avenge last year’s 2-1 friendly defeat to Italy in Bari. Azzurri fans are, moreover, still unsure about the availability of a number of players who performed well in qualifying: amongst them, Daniele De Rossi underwent surgery today on a broken index finger, whilst Giorgio Chiellini, Riccardo Montolivo, Sebastian Giovinco are also nursing knocks. Even Antonio Cassano’s recent recovery from a minor cardiac problem didn’t stop him from worrying about whether he should hang up his boots, fearing he may one day share Piermario Morosini’s fate. That said, however, Italy have much cause for optimism, having finished their qualifying group with a record amount of points (26), a record-low number of goals conceded (2), and without losing a single game along the way. Italy will have no trouble in goal, either, where Gianluigi Buffon and Salvatore Sirigu have both come off brilliant seasons for their respective clubs, the latter possibly even being PSG’s most consistent performer in a season hardly characterised by a stunning brand of football. Despite Chiellini and De Rossi’s injury issues, the Azzurri boast a Turin-made chassis in the middle of the park, with a Barzagli-Bonucci partnership in defence more than making up for Chiellini’s absence. In midfield, Italy can count on Claudio Marchisio and Andrea Pirlo, whilst Antonio Cassano and Mario Balotelli can easily set any rearguard ablaze if they pick up from where they left off in qualifying. It will be interesting to see whether Italy can click, and manage to express a passing brand of football not seen since the days of Azeglio Vicini: then again, they have always relied on full-backs to support the midfield, and may run into problems if they leave their defence too exposed, something they are not used to doing at major tournaments. 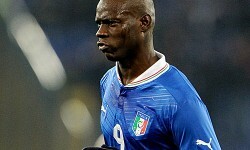 In this vein, one must admit that Italy’s defence does look a tad fragile on the wings. On the right, Christian Maggio has been brilliant for Napoli, but his likely replacement will be the defensively suspect Milan full-back Ignazio Abate. On the left, meanwhile, Federico Balzaretti has recently come back from injury, whilst Domenico Criscito seems to be a more defensive option. There are, therefore, plenty of questions. It remains to be seen if Prandelli has the answers.